Having had some previous exposure to social enterprises, seeing this article, I was immediately struck by how apt bamboo is to base a business on that is operated for social benefit rather than shareholder profit. Bamboo covers all the bases here, brilliantly. 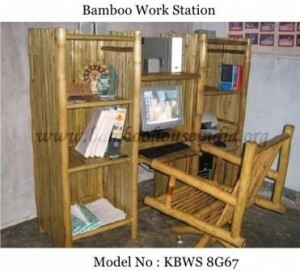 Only a modest capital investment is needed to generate a steady income from bamboo. 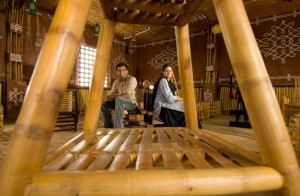 Bamboo can create employment and training opportunities without large capital investment. Anecdotal evidence suggests that bamboo makes people happy. Bamboo is a fast growing and sustainable resource. Agricultural chemicals are not needed. There is very little waste. All parts of bamboo can be used for something, from construction to enhancing soil. Bamboo helps retain water in the watershed and acts as a bio-filter for pollutants. But if you’ve been here before, you know all this. While India is undoubtedly a major producer of bamboo and bamboo products, market linkages for small producers are not easily accessible. This is especially so for tribal artisans. 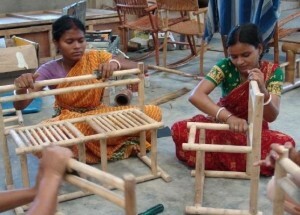 Social enterprise Bamboo House India is a link for small producers to the geographically diverse markets of India. The enterprise trains their artisans, provides cash advances to them to buy raw materials and, negotiates and pays wages. These producers are not at the mercy of market vagaries for their income. You can learn more about social enterprises at Social Traders, or Amazon and eBay have a good range of books available for purchase. 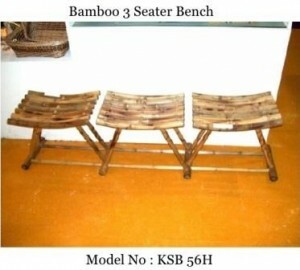 Click on any of the images above to see more of the Bamboo House India furniture catalogue. 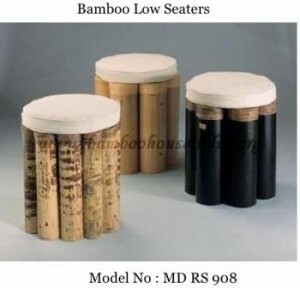 This entry was posted in All, Bamboo around the world, Bamboo craft and tools, Bamboo on the Internet and tagged bamboo, India, social enterprise on 28/09/2014 by Deb.